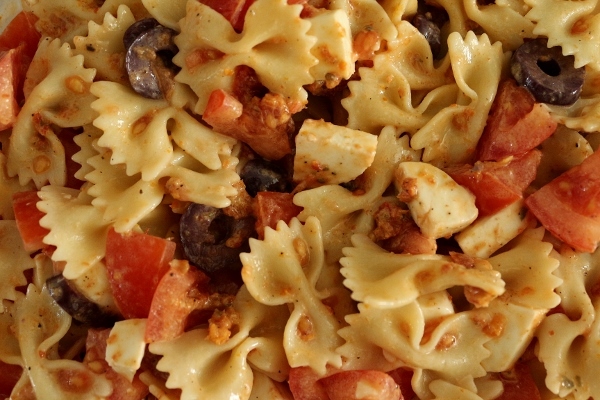 This is one of my favorite go-to pasta salad recipes. It's easy to make, and very fresh with a combination of ripe tomatoes and sun-dried tomatoes, as well as my absolute favorite kalamata olives, and fresh mozzarella. The dressing contains even more sun-dried tomatoes as well as garlic, capers, and seasonings. If you have fresh basil, add it as well, but the pasta salad is excellent without it. 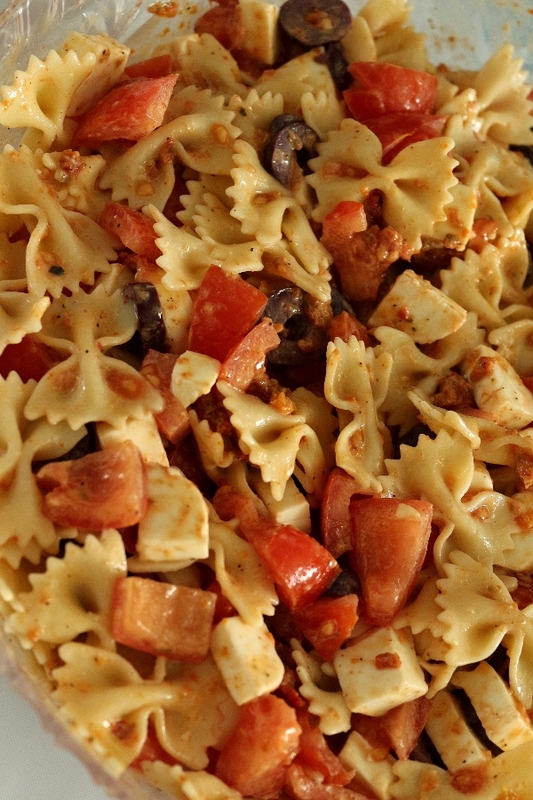 As the weather warms and picnic season approaches, this pasta salad would be perfect for any outdoor adventure. Cook the pasta in a large pot of boiling salted water. Boil according to the directions on the package. Drain well, rinse with cold water, and allow to cool. 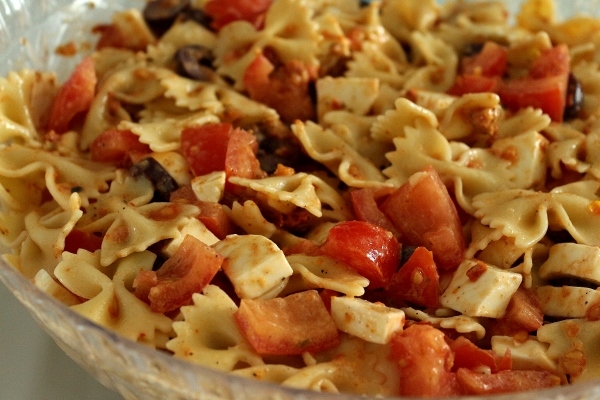 Place the pasta in a bowl and add the tomatoes, olives, mozzarella, and chopped sun-dried tomatoes. Pour the dressing over the pasta and toss well.